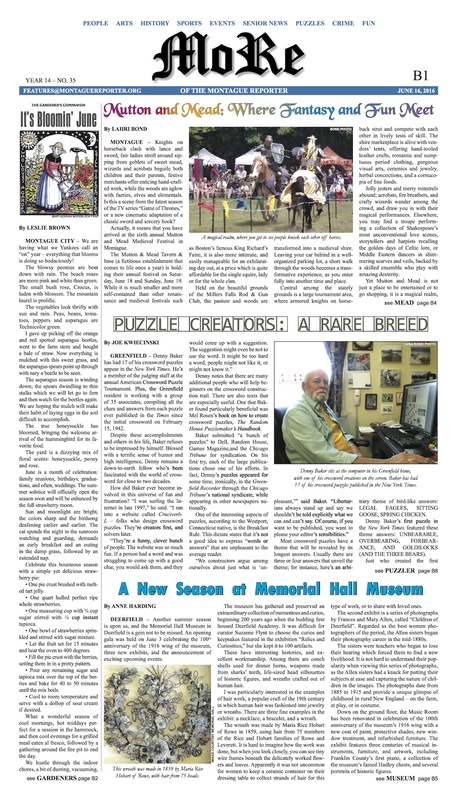 Local artist chosen for “bumpout” sculpture installation — check out his mockup and read about the process on today’s Page A1. 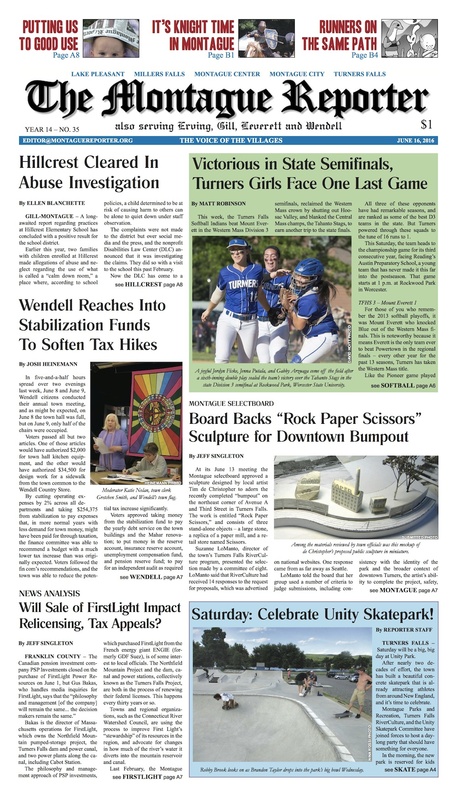 Also in Montague: Hillcrest cleared in abuse investigation; TFHS softball heads to the state finals; Unity Skatepark prepares for a ribbon-cutting and grand opening this Saturday; and the town planner calls the parking situation a sign of a “healthy, growing downtown.” Elsewhere: Erving joins emergency coordination effort. Gill wants YOU to become an assessor! Leverett grapples with green energy decisions. Wendell taps into its stabilization fund to soften tax hikes. Our news analyst evaluates the potential impact of the FirstLight sale on relicensing and taxes. And, our editorial shares responses from queer Latinx and Muslim writers following the horrific mass shooting at the Pulse nightclub.